Jennifer was a member of CCH’s 2nd graduating class of ‘92. After graduating, she attended the University of Windsor where she studied Computer Science. Jennifer was awarded with a Canada Scholarship and University of Windsor Entrance Scholarship. In 2010, Jennifer was excited to have the opportunity to pursue an Executive MBA program at UWO’s Ivey School of Business and looks forward to her graduation in 2012. After undergrad, Jennifer moved to Toronto to work for IBM at their Software Development Lab. Over the years, she has held several senior leadership positions for IBM in Client Support and Software Development. She also had the opportunity to co-author a book entitled 'DB2 Fundamentals Certification for Dummies'. In 2011, Jennifer took on her current role as Program Director, Development for one of IBM’s software products. In this role, she leads a global team of over 150 technical professionals in the development and delivery of the product. 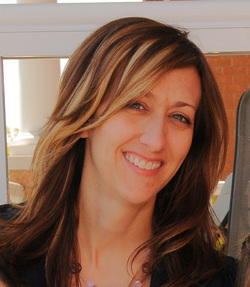 Jennifer was recognized with an IBM Toronto Lab Outstanding Leadership Award in 2005 and an IBM Software Group Management Excellence Award in 2007. She has the privilege of acting as a mentor to several colleagues and regularly participates in Women in Technology initiatives. On a personal note, Jennifer married Brian Riberdy in 2001, whom she met when she was 15 years old. They have been blessed with 2 children, Anna in 2002, and Tyler in 2004. They currently live in Richmond Hill, Ontario. Jennifer has many fond memories of CCH - from the incredible theatre program to the amazing athletic teams to the passionate, dedicated teachers. Food fights, euchre games and warm cookies also come to mind. Some of her best memories come from having been a member of the first ever Sr. Girl’s Volleyball Team. Jennifer is particularly proud of the fact that her dad, Ken Gibbs, was one of the parents that helped secure funding for the much needed expansion and renovation of the school.